Ride-hailing giant, Uber, is well-known for its tech and data-driven business model that disrupted the transport industry. In 2017 they’ve had their fair share of ups and downs, namely ex-CEO Travis Kalanick’s departure from Uber, the Honda Vezel saga, the data breach scare, and the recent cyberattack that almost hit close to home. 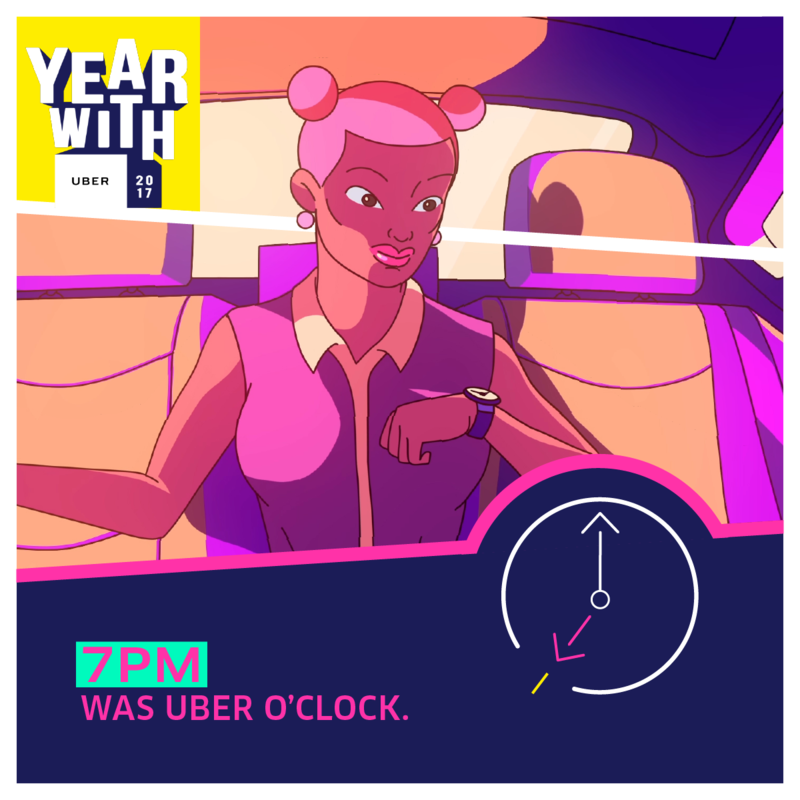 Some of the more memorable positive moments include the time women took the wheel for themselves and their businesses, the Uber love story, and the day we can order McDonald’s without a minimum order. 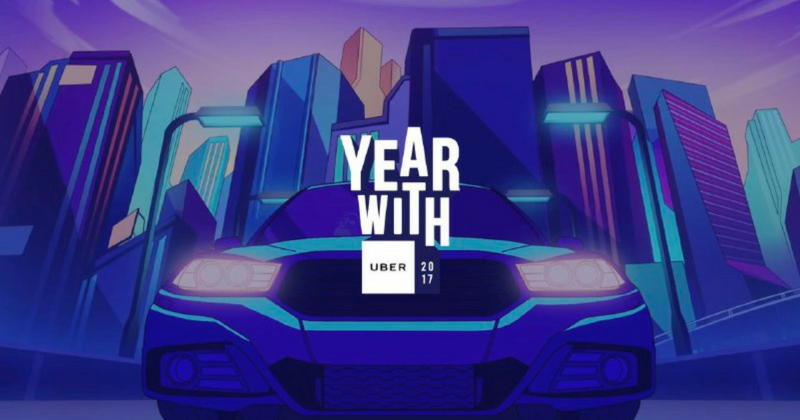 It’s really been an eventful year for them, so I guess it’s cool that they are wrapping up 2017 in style—this is the #YearWithUber. 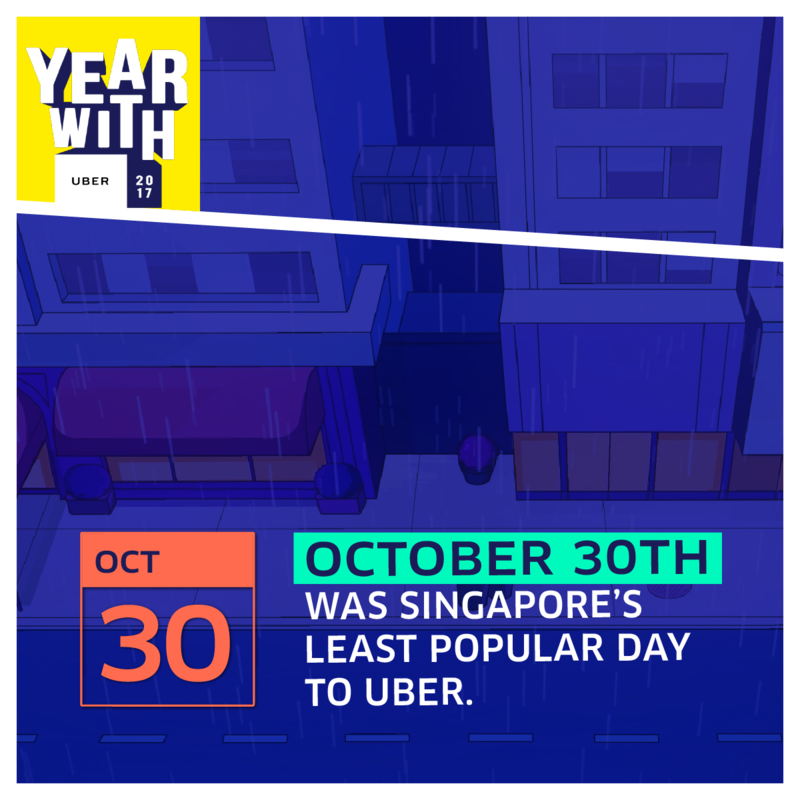 Using the data they’ve collected on Singapore Uber riders and Uber Eats users this year, they came up with a colourful infographic showing their movements and meals. 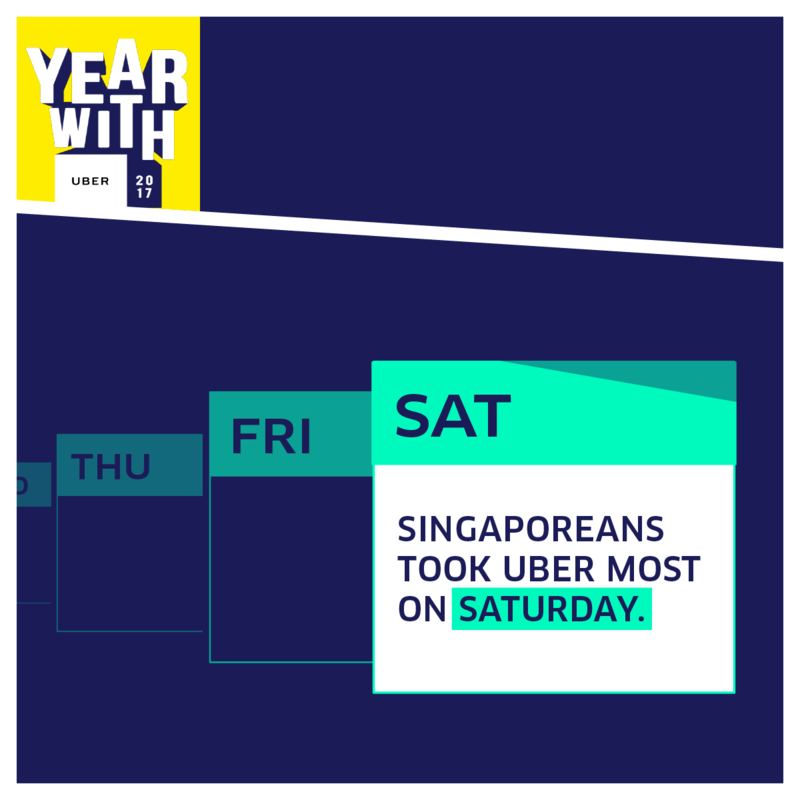 Singaporeans took Uber most on Saturdays. Singapore took the most rides in a single day on June 2 and the least rides on October 30. Singaporeans Ubered in 588 cities in 80 countries, most commonly in Malaysia, Thailand, Indonesia, Australia, and US. Asians used Uber in the USA the most. 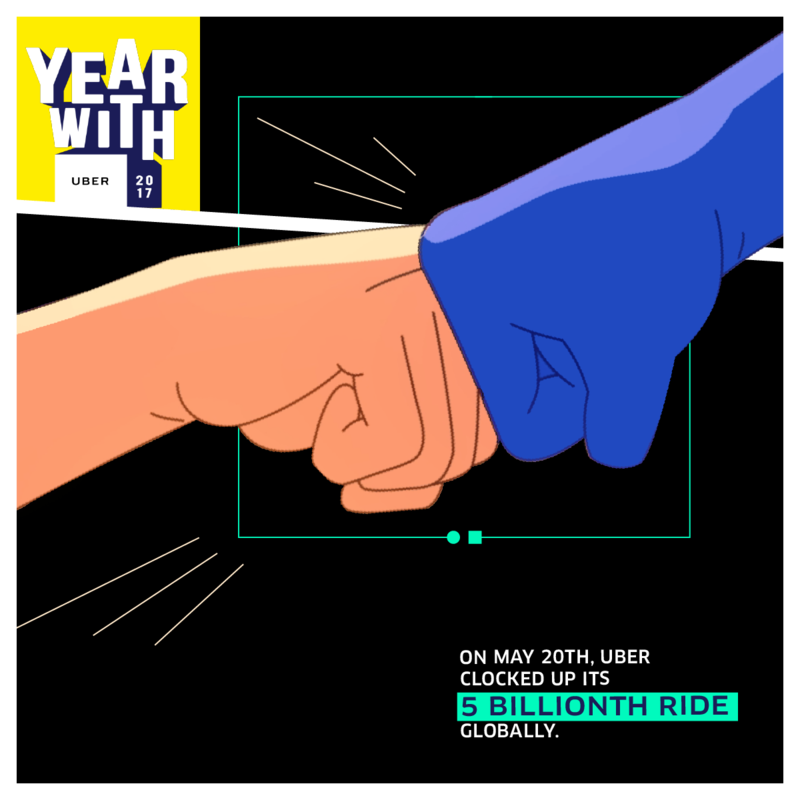 6 Singaporeans drivers were part of Uber’s 5th billionth trip globally on May 20. The drivers also received US$500 as an incentive, and we got to find out about the Singaporean driver who drove 27km during that memorable day. 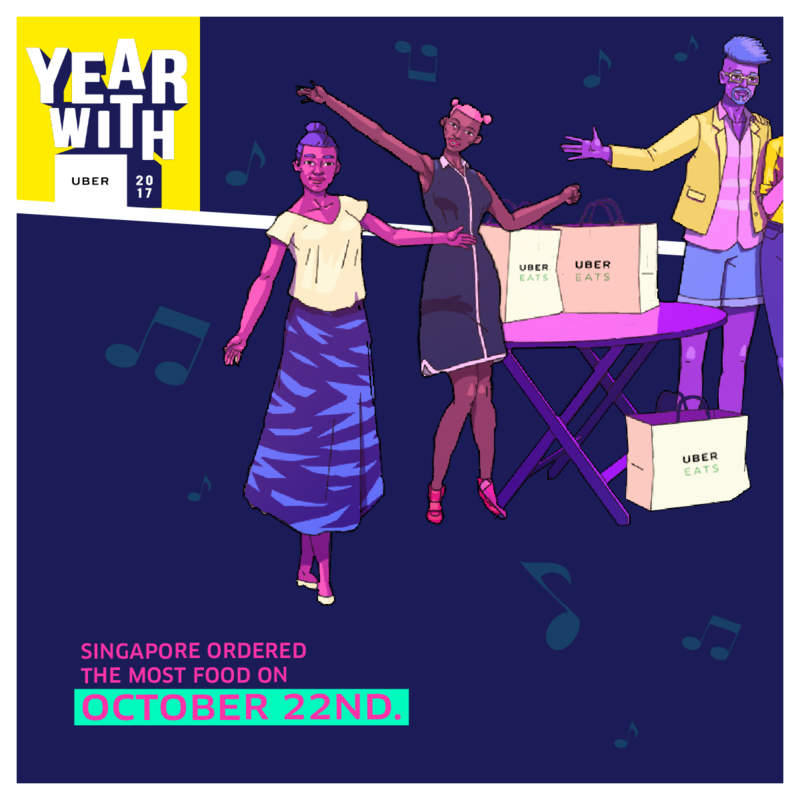 Singaporeans ordered the most food on October 22. 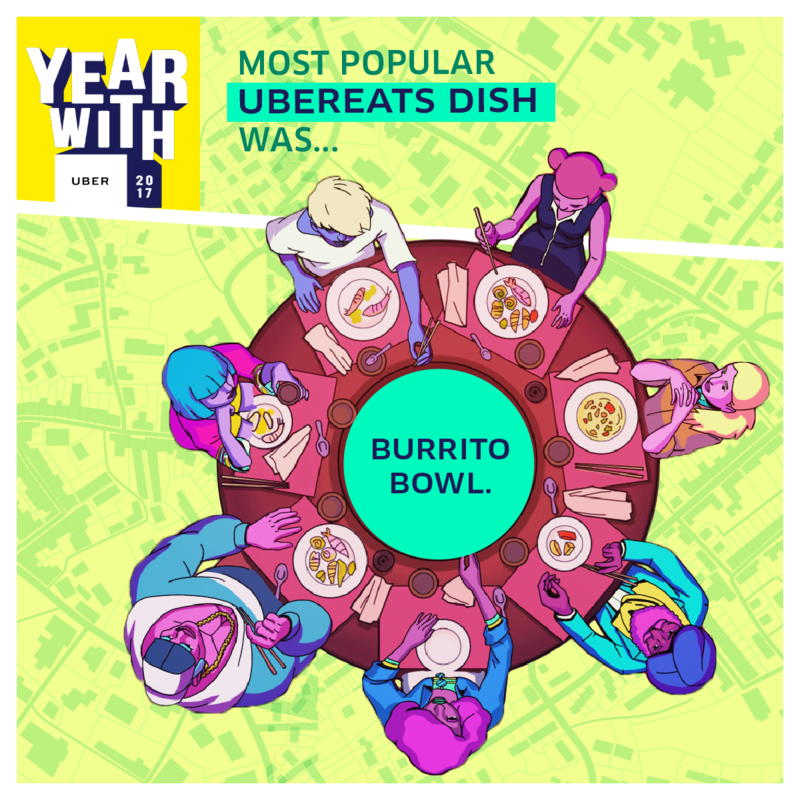 Favourite dish on Uber Eats is the Burrito Bowl. It sat at the top of the Top 5 dishes, followed by Nasi Ayam Penyet in 2nd, Kaisen Don in 3rd, Butter Chicken in 4th, and Pad Thai in 5th. 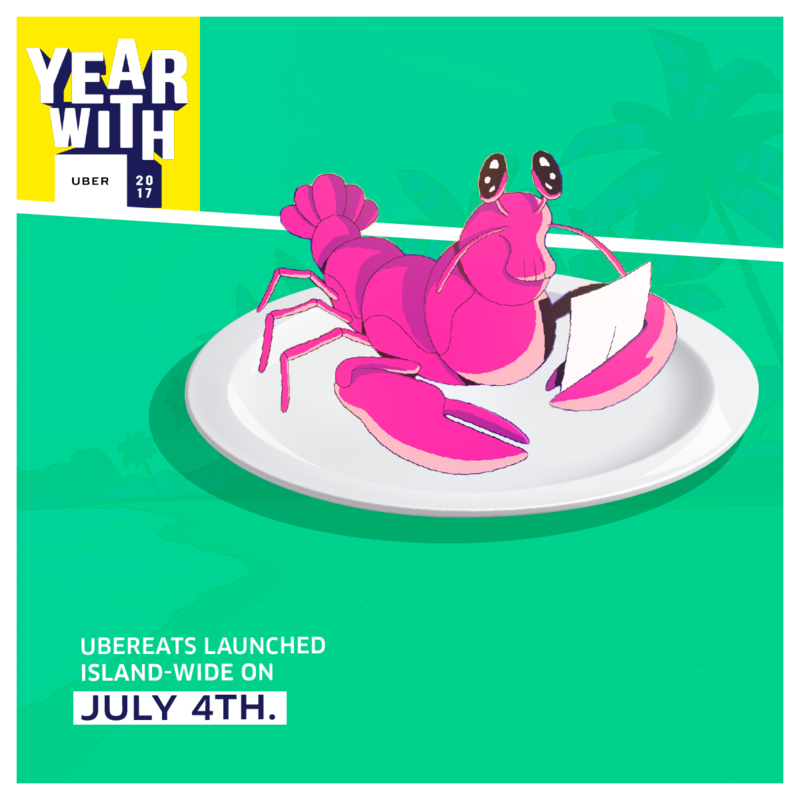 Singapore welcomed Uber Eats islandwide on July 4, also the day they celebrated their 1st year anniversary. A baby was born on an Uber ride in Singapore! 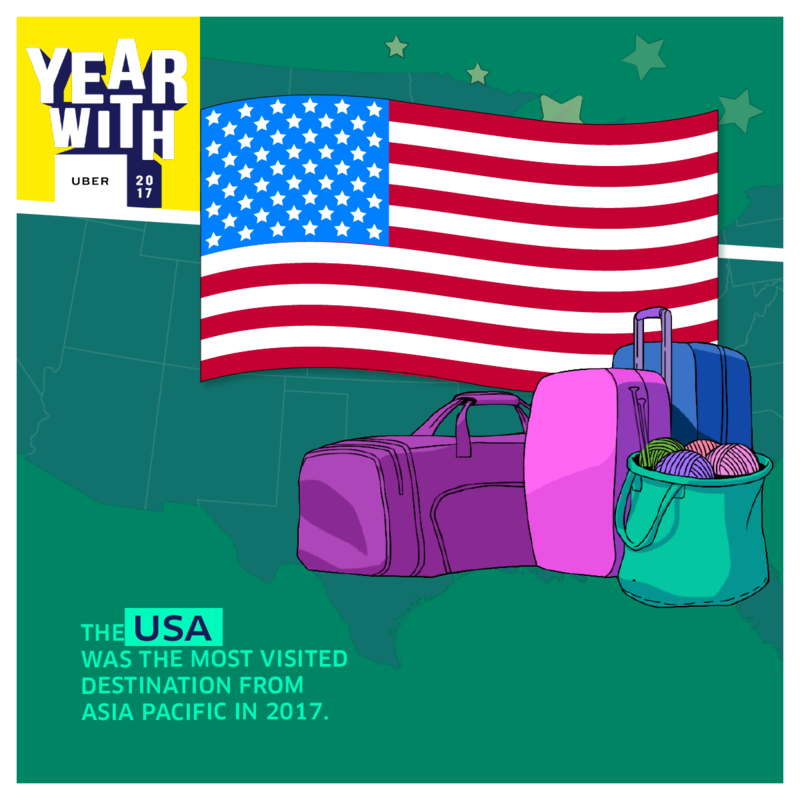 They also found that people in Jurong loves American food; Queenstown residents adore Mexican food; Hougang, Serangoon, and Punggol can’t get enough of Chinese food; Changi dwellers crave Middle Eastern cuisine. 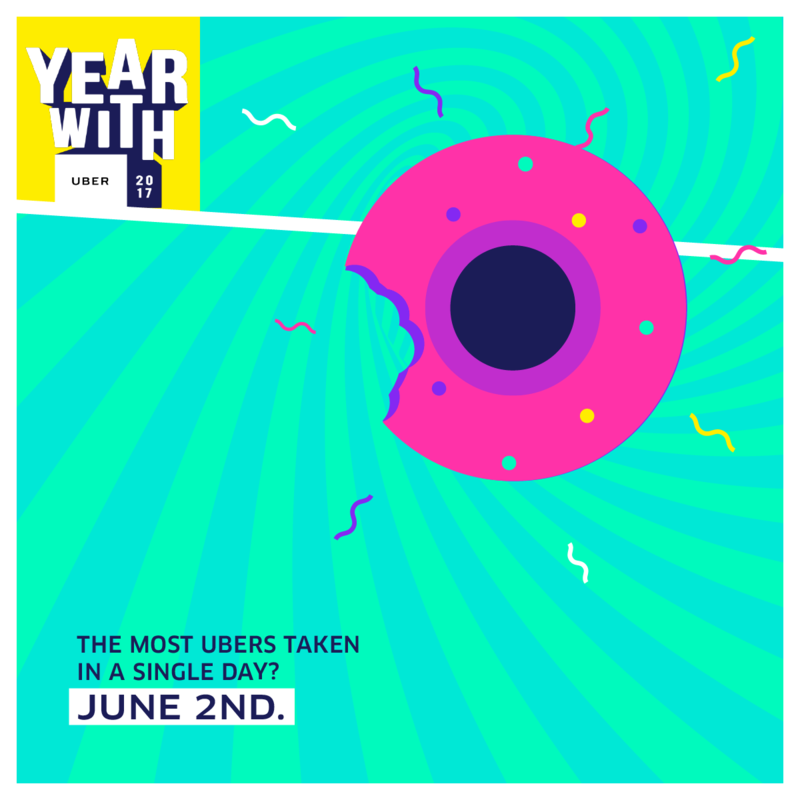 You can check out your year with Uber at www.yearwithuber.com and find out what kind of Uber rider you are!